The Mishnah (Menachos 70a) explains that this mitzvah applies only to the five species that we usually categorize as grain, which Rashi (Pesachim 35a) defines as wheat, barley, spelt, oats and rye. The Gemara (Menachos 70b) demonstrates that the laws of chodosh apply to the same varieties of grain that can become chometz. What permits the new grain? We should note that the Torah mentions two different factors that permit the new grain – it “may not be eaten until that very day – until you bring the offering to your G-d.” This seems to be a bit contradictory. What permits the new grain, the day or the offering that transpires in the course of the day? The Gemara (Menachos 68a) concludes that it depends on whether a korban omer will be offered that particular year. Until the Beis Hamikdash was destroyed, a korban omer was brought annually, and offering this korban permitted the new grain, thereby fulfilling “may not be eaten… until you bring the offering to your G-d.” After the Beis Hamikdash was destroyed, it is the day that permits the new grain. There is a further question, when the day is what permits the new grain, is it the beginning of the day or its end? The Gemara quotes a dispute about this fact, but concludes that even those who permit the new grain at the beginning of the day, this is only min haTorah, but they agree that miderabbanan the new grain is not permitted until the day ends (Sukkah 41b). This new grain is called chodosh, literally, new. Once Pesach passes, the grain is called yoshon, old, even though it may have been planted only a few days before. The promotion from chodosh to yoshon transpires automatically on the second day of Pesach – all the existing chodosh becomes yoshon grain on that day, even that which is still growing. The only requirement is that by then the grain has taken root. Thus, designating the grain as “old” does not mean that it is either wizened or rancid. Grain planted in the late winter or early spring often becomes permitted well before it even completed growing. On the other hand, grain that took root after the second day of Pesach is categorized as “new” grain that may not be eaten until the second day of the next Pesach. How do we know that it is newly rooted? Since most of us spend little time subterraneanly, how are we to know when the newly planted seeds decided to take root? This question is already debated by the Tannayim. The halachic authorities dispute whether we assume that seeds take root three days after planting or not until fourteen days after planting. If we assume that they take root in only three days, then grain planted on the thirteenth of Nisan is permitted, whereas that planted on the fourteenth, Erev Pesach, is forbidden. This is because the remaining part of the thirteenth day counts as the first day, and the fifteenth day of Nisan (the first day of Pesach) is the third day and we therefore assume that the new grain rooted early enough to become permitted (Terumas Hadeshen #151; Pischei Teshuvah, Yoreh Deah 293:4, 5; Aruch Hashulchan). According to those who conclude that it takes fourteen days to take root, this grain does not become permitted until the next year. In addition, any grain planted on the third of Nisan or afterwards will not be permitted until the coming year, whereas that planted on the second of Nisan becomes permitted. We count the second of Nisan as the first day, which makes the fifteenth of Nisan the fourteenth day, and the grain took root early enough so that the sixteenth of Nisan permits it (Nekudos Hakesef; Dagul Meirevavah; Shu”t Noda Biyehudah 2:Orach Chayim:84). What’s New in Chutz La’aretz? Now that we understand some basic information about chodosh, we can discuss whether this mitzvah applies to grain growing outside Eretz Yisrael. Following the general rule that agricultural mitzvos, mitzvos hateluyos ba’aretz, apply only in Eretz Yisrael, we should assume that this mitzvah does not apply to grain that grew in chutz la’aretz. Indeed, this is the position of the Tanna Rabbi Yishmael (Kiddushin 37a). However, Rabbi Eliezer disagrees, contending that the mitzvah applies also in chutz la’aretz. This dispute is based on differing interpretations of an unusual verse. When closing its instructions concerning the mitzvah of chodosh, the Torah concludes: “This is a law that you must always observe throughout your generations in all your dwelling places.” Why did the Torah add the last words, “in all your dwelling places”? Would we think that a mitzvah applies only in some dwellings and not in others? The Tannayim mentioned above dispute how we are to understand these unusual words. 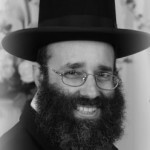 Rabbi Eliezer explains that “in all your dwelling places” teaches that this prohibition, chodosh, is an exception to the rule of mitzvos hateluyos ba’aretz and applies to all your dwelling places – even those outside Eretz Yisrael. Thus, although we have a usual rule that mitzvos hateluyos ba’aretz apply only in Eretz Yisrael, the Torah itself taught that chodosh is an exception and applies even in chutz la’aretz. Rabbi Yishmael explains the words “in all your dwelling places” in a different way and as a result, he contends that chodosh indeed follows the general rule of agricultural mitzvos and applies only in Eretz Yisrael. The Rosh reports that, in his day, whether most of the new grain was chodosh or yoshon depended on when the gentiles’ religious seasons fell out. Apparently in his day the gentiles did not plant crops during Lent. In some years the gentiles planted well before Pesach, and in those years there was no chodosh concern, since the new grain became permitted while it was still growing. However, there were years in which the gentiles refrained from planting until much later and in those years the new grain was chodosh (Shu”t HaRosh 2:1). We therefore find the rather anomalous situation in which the Rosh needed to find out exactly when the gentiles observed Lent in order to ascertain whether the grain was chodosh or yoshon. What is New in Agriculture? But one minute — the Rosh lived in Europe, first in Germany and then in Spain. Why was he concerned about chodosh? Should this not be an agricultural mitzvah that does not apply to produce grown outside of Eretz Yisrael? From the case above, we see that the Rosh ruled that chodosh is prohibited even in chutz la’aretz. The Rosh is not alone. Indeed, most, but not all, of the Rishonim and poskim conclude that chodosh applies to all grain regardless of where it grows, since we see from the Gemara that chodosh was practiced in Bavel, even though it is outside Eretz Yisrael (Menachos 68b). However, notwithstanding that the Rosh, the Tur and the Shulchan Aruch all prohibit chodosh grown in chutz la’aretz, the traditional approach among Ashkenazic Jewry was to permit the use of new grain. Why were they lenient when most authorities rule like Rabbi Eliezer that chodosh is prohibited even outside Eretz Yisrael? Later authorities suggest several reasons to permit consuming the new grain. Many authorities permitted the new grain because the new crop may have been planted early enough to be permitted, and, in addition, the possibility exists that the available grain is from a previous crop year, which is certainly permitted. This approach accepts that chodosh applies equally in chutz la’aretz as it does in Eretz Yisrael, but contends that when one is uncertain whether the grain available is chodosh or yoshon, one can rely that it is yoshon and consume it. Because of this double doubt, called a sefek sefeika, many major authorities permitted people to consume the available grain (Rama, Yoreh Deah 293). However, we should note that this heter is dependent on available information, and these authorities agree that when one knows that the grain being used is chodosh one may not consume it. The Rosh accepted this approach, and was careful to monitor the planting seasons so as to ascertain each year whether it was true. In years that there was a chodosh problem, he refrained from eating the new grain – however, it is interesting to note, that he was extremely careful not to point out his concerns to others. He further notes that his rebbe, the Maharam, followed the same practice, but said nothing about this to others. Thus, we see that some early gedolim were strict about observing chodosh but said nothing to others out of concern that they would be unable to observe chodosh. This practice was followed in the contemporary world by such great luminaries as Rav Yaakov Kaminetzsky, who was personally stringent not to eat chodosh, but was careful not to tell anyone who followed the lenient approaches that I will soon share. Other authorities permitted the chutz la’aretz grain, relying on the minority of early poskim who treat chodosh as a mitzvah that applies only in Eretz Yisrael (Taz; Aruch Hashulchan). This is based on a Gemara that states that when something has not been ruled definitively, one may rely on a minority opinion under extenuating circumstances (Niddah 9b). Another halachic basis to permit use of the new grain is that chodosh applies only to grain that grows in a field owned by a Jew, and not to grain grown in a field owned by a non-Jew. Since most fields are owned by gentiles, one can be lenient when one does not know the origin of the grain and assume that it was grown in a gentile’s field, and it is therefore exempt from chodosh laws. This last approach, often referred to simply as “the Bach’s heter,” is the basis upon which most Ashkenazic Jewry relied. We may note that the Rosh, quoted above, rejected this heter, and that Tosafos (Kiddushin 37a end of s.v. kol), the Tur and the Shulchan Aruch also reject this approach. Similarly, the above-quoted responsum from the Rosh explicitly rejects this logic and contends that chodosh applies to grain grown in a gentile’s field. Nevertheless, common custom accepted this as the main opinion in observing chodosh, even by many gedolei Yisroel. The Bach notes that many of the greatest luminaries of early Ashkenazic Jewry, including Rav Shachna and the Maharshal, were lenient regarding chodosh use in their native Europe. He shares that as a young man he advanced his theory that chodosh does not exist in a field owned by a gentile to the greatest scholars of that generation, all of whom accepted it. The Bach himself further contends that although the Rosh in his responsum rejected this approach, the Rosh subsequently changed his mind and in his halachic code, which was written after his responsa (see Tur, Choshen Mishpat, end of Chapter (72, he omits mention that the prohibition of chodosh applies to gentile-grown grain. Thus, those residing in chutz la’aretz have a right to follow the accepted practice, as indeed many, if not most, of the gedolei Yisrael practiced. However, others, such as the Mishnah Berurah, ruled strictly about this issue (see also Beis Hillel, Yoreh Deah). Until fairly recently, many rabbonim felt that those who are strict about the prohibition should observe the law very discreetly. Some contended that one should do so because they feel that observing chodosh has the status of chumrah, and the underlying principle when observing any chumrah is hatznei’ah leches – they should be observed modestly. (See Michtav Mei’eliyahu Volume 3, page 294.) Others feel that the practice of being lenient was based on an extenuating circumstance that is no longer valid since yoshon is fairly available in most large Jewish communities, and that, on the contrary, we should let people be aware how easy the mitzvah is to observe. The assumption of virtually all hechsherim is that unless mentioned otherwise, they rely on the halachic opinion of the Bach. Many decades ago, Rav Aharon Soloveichek pioneered his own personal hechsher that did not follow either the heter of the Bach or that of the Taz and Aruch Hashulchan. He further insisted that the yeshivos that he served as Rosh Yeshivah serve exclusively food that did not rely on these heterim. Today, there are a few other hechsherim that follow this approach, whereas the majority of hechsherim accept the heter of the Bach. The answer is that the mitzvah is not new. When you were young, most halachic authorities either felt that one could rely on the opinion of the Bach, or felt that one should keep the topic quiet. Today many feel that one may advertize the availability of yoshon products. In addition, there is interesting agricultural background to this question. At one point in history, the flour commonly sold in the United States was from the previous year’s crop and always yoshon. Rav Yaakov used to monitor the situation and when the United States no longer followed this practice, he began to freeze flour so that he would have a supply during the winter and spring months when chodosh is a concern. Usually, the earliest chodosh products begin coming to market midsummer, and some products do not appear until the fall. As I mentioned above, someone who lives in chutz la’aretz has the halachic right not to be concerned about observing chodosh on grain that grows in chutz la’aretz. The question is whether someone who has moved to Eretz Yisrael where the prevailing custom it to be stringent, and is now visiting chutz la’aretz has the same right. This matter is disputed, and I refer an individual to ask his rav what to do. In explaining the reason for this mitzvah, Rav Hirsch notes that one of man’s greatest enemies is success, for at that moment man easily forgets his Creator and views himself as master of his own success and his own destiny. For this reason, the Torah created several mitzvos whose goal is to remind and discipline us to always recognize Hashem’s role. Among these is the mitzvah of chodosh, wherein we are forbidden from consuming the new grain until the offering of the korban omer, which thereby reminds us that this year’s crop is all only because of Hashem (Horeb, Section 2 Chapter 42). Whether one follows the Bach’s approach to the chodosh laws or not, one should make note every time he sees a reference to yoshon and chodosh to recognize that success is our enemy, and humility is our savior. Born in Washington, D.C., and raised in New York City, Rabbi Yirmiyohu Kaganoff attended Ner Israel Rabbinical College in Baltimore, MD, from where he received a Bachelor’s degree in ’76, Semicha in ’77 and a Doctorate in Talmudic Law in ’81. In August of ’82 he assumed the rabbinate of the Young Israel of Greater Buffalo, a position he held until ’86. He also was the founding Rabbinic Administrator of the Vaad HaKashrus of Buffalo, a community organization that maintains the highest standards of kashrus. In August of ’86 Rabbi Kaganoff and his family returned to Baltimore where he became the Rabbi of Congregation Darchei Tzedek and also served as a dayan (rabbinic judge) on the Beis Din of Baltimore. The Kaganoffs made aliyah in ’97, where they live in the Neve Yaakov neighborhood of Jerusalem. Rabbi Kaganoff is the author of seven books on Rabbinic scholarship, both in English and Hebrew. 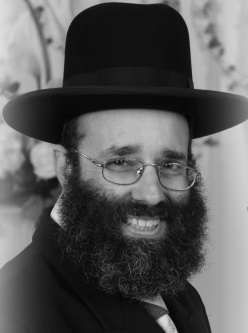 Rabbi Kaganoff is married and the father of nine children and eight grandchildren. One may visit the rabbi’s website as well. Posted on November 1, 2010 by JKN Israel. This entry was posted in Kashrus Kuestions. Bookmark the permalink. As an individual working in Kashrut I appreciate this clearly stated article on the issues of Chodosh. What about the problems of agencies that permit the sale in E”Y of cereals etc from chu”l that are Chodosh. The reason given that the population from chu’l need the cereals. As I recall the Rabbinute HaReshit does not give an ishur to products from abroad that have a hashash of chodesh. At one time, they did not allow them to be imported at all. I do not know when or why this was changed. The gemorra explains why in Bavel, when the first day of Sukkot falls out on Shabbat, they do not perform the mitzvah of Lulav and Etrog (because it is a sopheik which day is Yom Tov). The Gemorra asks why don’t they do it in Erets Yisroel. The answer is so that theyre will not be two Torot, one for Bavel and one for Erets Yisroel. Someone who lives in chutz la’aretz does not have any halachic right not to be concerned with the issur of chodosh chutz la’aretz. The simple fact is that all of the Amudei Horaah (the pillars of p’sak halacha) such as the Rambam, the Riph, the Rosh, Rav Yoseph Karo and the Rama held that chodosh chutz la’aretz is forbidden by the Torah. This is also the pashtus of the Gemorra (which is why they hold that way). In certain cases, there is no sopheik whatsoever. For instance, someone who in March eats newly purchased products made of durham wheat (any decent pasta) is for sure eating chodosh unless specific efforts were made to use wheat which was stored from prior years. Poskim were matir chodosh in Europe because in their times it was close to being a matter of pikuach nephesh. In our times, there is no excuse.